Nick Dash is regarded by many as a World Leader in Myopia Control. Educating internationally and with more than 10 years hands-on experinece fitting lenses and developing a scientific approach to what is becoming a hot topic in Optometry and Medicine. Nick has lectured Internationally including a prestigeous & repeat invite by the Hong Kong Government and Optometric Association in 2013 and 2015. He is also Honorary Lecturer at Cardiff University (Wales, UK) as well as Owner of a Visual Edge, a clinic dedicated to innovation in contact lenses, aberration control/manipulation. At the forefront of Contact Lens Innovation Nick has developed a 'Customised Protocol' using Progressive Design Contact Lenses and Optical Retainers. The selection of lens design is defined by individual ocular status, family history, lifestyle educational commitments, outdoor activities and medical intervention of Myopia. 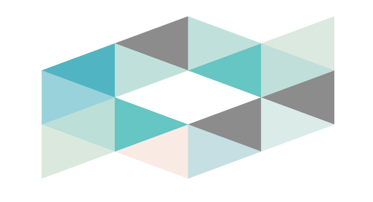 The Myopia Control Protocol has been developed using over 50 International peer reviewed research papers to ensure a scientific basis to deliver a holistic and multi-factored approach to what has been highlighted by the World Health Organisation (WHO) as major concern for the Eye Health of the developed world. Recent research has repeatedly demonstrated the use of Customised Contact Lenses, Outdoor Activities & Eye Drops can significantly reduce the elongation of the eye that is responsible for Myopic Eye Diseases such as Maculopathy and Retinal Detachment. Optical Retainers (Ortho-K Lenses) that are worn overnight under the supervision of the parent. These techniques have been shown to significantly reduce the eyes elongation, the primary cause of many progressive myopias in children. All parents and children will be provided individualised instruction on risks and use and care of contact lenses together with instruction on lifestyle and outdoor activities. Nick Dash has been a Pioneer of Myopia Control in the UK for the last 10 years. Can we really slow or stop Myopia (Nearsightedness)? 1. In most cases techniques can slow down or stop children eyes from becoming more short-sighted (myopic). 2. Stronger glasses each year should not be normal. 3. There is no cure, but you can most likely reduce the deterioration in myopia and thereby reduce the adult lens thickness and also reduce the probability of many eye pathologies. 4. Specialist Eye Care Practitioners (having undertaken specialist training) can customise a care plan that will use specific vision recommendations, spectacle lenses, contact lenses or eye drops. Very often in combination these can be very effective. The progression of myopia has become a considerable concern for World Health Organisation, Eye Care Professionals and parents of myopic children. This has driven worldwide research into the cause but also effective methods to slow the progression of myopia. This article reviews the peer-reviewed literature regarding several methods of controlling myopia progression. Several strategies have been shown to be ineffective for myopia control, including under-correction of myopic refractive error, alignment fit gas-permeable contact lenses, outdoor time, and bifocal of multifocal spectacles. However care plans including specially designed soft progressive soft contact lenses, overnight wear of rigid contact lenses that act as optical retainers and greater time spent outdoors have all shown effective slowing in myopia. Each of these myopia control methods provides, a meaningful slowing of myopia progression. In addition there is strong evidence that a combination of the strategies have a synergistic benefit. It is believed that the individual and customised approach based on individuals profile will show an effective treatment slowing the progression in excess of 50% of the myopic refractive error. Future developments under research include the daily use of daily eye drops. The use of so called antimuscarinic agents include pirenzepine and atropine. Pirenzepine slows myopia progression by approximately 40%, but it is not commercially available in the United States. Atropine provides the best myopia control, but the cycloplegic and mydriatic side effects render it a rarely prescribed myopia control agent in the United States. However, low-concentration or very low dose atropine has been shown to provide effective myopia control with far fewer side effects than 1.0% atropine. Over the past few years, much has been learned about how to slow the progression of nearsightedness in children, but we still have a lot to learn. It is our duty as clinicians and Eye Care Professionals to attempt to limit the progression and sight threatening complications caused by the progressive myopic eye that is caused by the elongation and stretching of the tissues of the eye. Deliver access through accredited Eye Care Professionals to effective care plans to check the progression of Myopia. Myopia Control Protocol is careful formulated based on extensive and constantly evolving scientific research. It provides a effective treatment plan to limit myopia progression for the current and future generations who are at risk due to changes modern life. 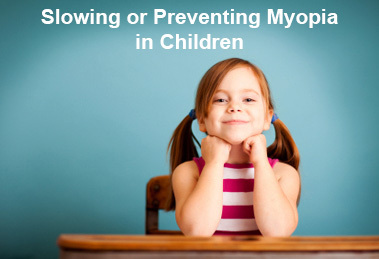 Nevertheless, whilst the goal of myopia control, it is evident that not all children will respond to the same effect and there will be some ‘non responders’ that will continue rapid myopic progression. All myopia carries risk of ocular tissue elongation and its sequelae. It is therefore impossible to guarantee outcomes on an individual basis. Moreover this tool is attempting to limit the risks not eliminate the risks. It is important to understand that the treatments do not reverse myopia but rather it is a damage limitation process. Children get used to a visual defocus and learn to live with it. It is important that children have routine eye examinations to determine visual defects and eye health. 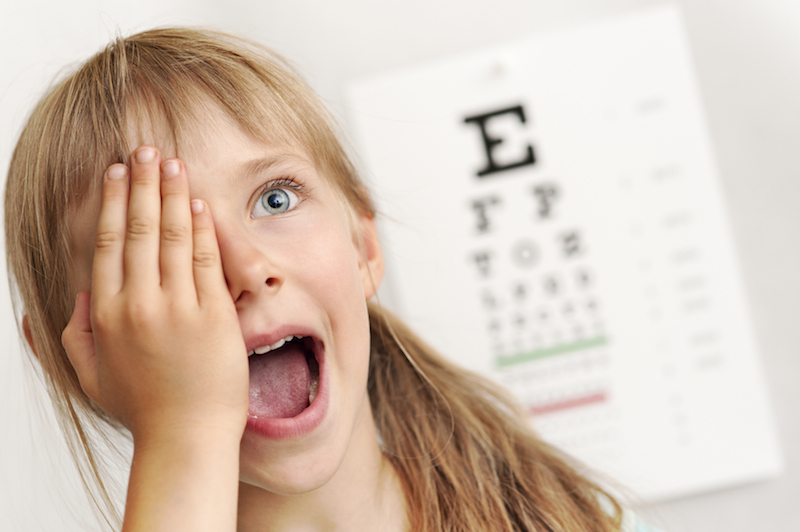 Many children eye conditions go undetected and it is imperative that children have regular eye examinations. In some cases it is possible to predict myopia and customise a care plan to reduce the possibility of myopic changes as the eyes develop. For this reason it is important to have your child tested, most especially if the parents wear glasses or contact lenses or have had medical issues with their eyes. Children of all ages can be tested from birth onwards. There are a number of specialist progressive lenses that centrally correct distance vision whilst utilsing specific design features that allow a customised zone to control the peripheral image focus and reduce the mechanism that drives myopic progression. These are as comfortable as normal lenses and are well tolerated by children as young as 6 years of age. A common myth is that children can not wear lenses. The vast majority of children cope very well with placing the lens on the eye and removing themselves. It is imperative that these are fitted by appropriate professionals and that regular appointments be attended. These can be customised to pupil size, eye power and shape of the eyes. Ongoing review is necessary to ensure eye health and effectivity of the care program. It is essential that the contact lens care is maintained as there are risks associated with any lens wear and this needs to be detailed by the prescribing professional. Optical retainers or Ortho-K (orthokeratology) are rigid lenses that are worn overnight and can be put on the eye and removed by parents. In many cases the eyes surface will be reshaped so that the child can be independent of spectacles during the day. Sometime a top-up pair of glasses may be necessary. Since this method requires special skills and advanced corneal mapping (topography), the Ortho-K contact lenses should be adjusted only by certified eye specialists. Atropine eye drops have an inhibitory effect on the parasympathetic nervous system so limits accommodation (adjusting the lens at different focal planes by strain) is no longer possible. Studies have shown that atropine can also be used for the control of myopia but. To avoid the strong spread in Taiwan is currently routinely administered atropine in myopic children. But as the commonly administered atropine 2% drug has serious side effects and therefore it should not be generally and daily used, there are promising tests with lower solutions. Atropine can not be prescribed by opticians or optometrists in many countries. The average increase in myopia for those who are progressing is between 0.37 Dioptres to 0.75 Dioptres per year, depending on a number of environmental, lifestyle and genetic factors. That means a child with low myopia in the third grade most likely won't be able to read the big "E" on the eye chart without glasses by the time they get to high school. Low levels of myopia and the opportunity they afford for more effective treatment are often missed quickly as the change is usually most rapid in the first year or two. There are advantages at any level but there is no advantage in waiting. Looking further into adult-hood there is an increasing risk of sight threatening conditions. For every increased Dioptre of myopia there is an exponential risk of sight-threatening conditions such as maculopathy, retinal detachment, cataract as well as many other eye conditions. So action in childhood could reduce risks of life long complications that are associated with myopia. So the answer is to act early to retain vision quality and eye-health. Then find a specialist with up-to date education that can provide a customised care program that includes a scientific approach to Myopia. This will include education on the need for outdoor time, contact lenses, spectacles and possibly eye drops. A combination of these may prove the best way of preserving children from the life long effects of dependence on thicker glasses and an increased prevalence of sight threatening issues relating to Myopia.